“Many shall run to and fro, and knowledge shall increase” (Daniel 12:4). Is that you? 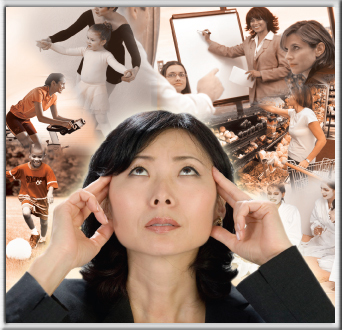 Do you sometimes feel burdened keeping up with the schedules of everyone in your household? Are you finding it difficult to make daily quiet time with the Lord a priority? Is it a challenge to find time to relax – let alone squeeze fitness into your day? There are ways to incorporate health and fitness for spirit, soul and body into your day – and actually have more time and energy to do all you’re called to do. I’ve given up saying I’m busy. Instead I like to say I’m “happily productive.” It always makes me laugh, and I notice I get a lot more accomplished and feel less stressed! I also have trained myself to say, “You know, we may have a lot on our plate, but we always seem to have enough time to do all the Lord has called us to do. I like to remind God as His Word says, ‘My times are in Your hand’ (Psalm 31:15). God is interested in our priorities. He wants us to put Him first. Yet before I made time with the Lord a daily priority, I wondered why I never seemed to have enough time. 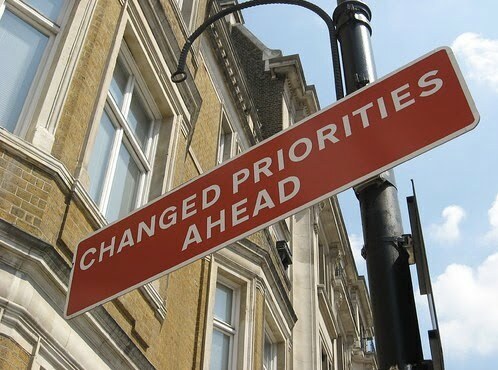 Without realizing it, the rest of my life was suffering because I didn’t have my priorities in the right order. We’re to give God first place and seek Him first (“But seek first the kingdom of God and His righteousness, and all these things shall be added to you,” Matthew 6:33). When I began investing time in my relationship with the Lord first, I found the peace and wisdom to handle whatever came my way the rest of the day. Why not combine the two – faith and fitness? The Lord delights to be a part of everything we do – even exercise! One woman I know respectfully calls Him her “Personal Trainer.” Suddenly physical activity is no longer drudgery, but an extension of our worship time with Him. In His presence, the joy of the Lord lifts and strengthens us spiritually, emotionally and physically. Building physical strength at the same time becomes an added bonus. Instead of dreading the workout, the brisk walk or whatever our fitness routine entails, we will look forward to being in His presence again. Cut workouts in half and squeeze in a 10- or 20-minute session instead of your normal workout. These mini-workouts can still produce lasting results and keep you from putting off working out until tomorrow, the day after, or next week. Make use of the time you DO have. 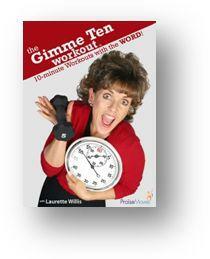 – Many have told me The Gimme Ten Workout has helped ensure they get at least SOME exercise in their day – and they’re memorizing Scripture at the same time! 2. Get up a little earlier. Either ask the Lord to awaken you earlier, or set the alarm clock 30 minutes earlier to pray and get a workout in before your day starts. In time, you’ll adjust to the earlier wake up call. 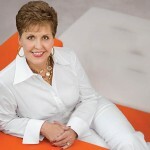 – When I was a new Christian, I remember hearing the Lord in my heart tell me, “Read, study and pray for 20 minutes-a-day.” I thought, “I can do that!” It was a great place for me to start. 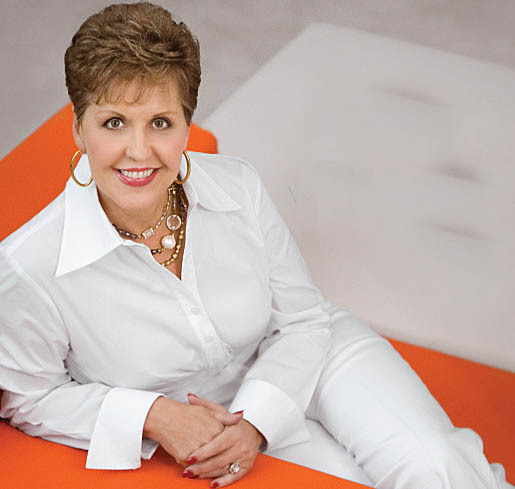 Bible teacher Joyce Meyer has said it’s important for her to invest the first 2 hours of her day with the Lord for the ministry work she is called to do. Everyone has their own schedule. Find one that works for you. 3. Lunch break: Divide your lunch hour in half and devote 30 minutes to exercise before you eat. This serves to curb your appetite and boost your metabolism, making it easier to cut calories. 4. Nap time: If you have children at home, squeeze in a 10- or 15-minute workout while they’re napping. 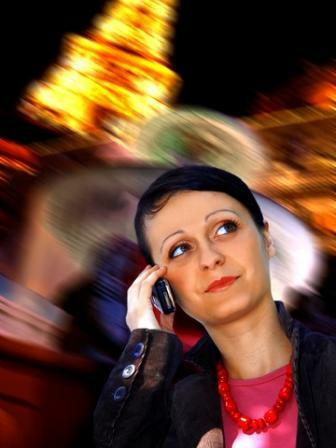 Find ways to repeat throughout the day to add up to 20 or 30 minutes. 5. Commercial break: Instead of “vegging out” in front of the TV, use the 3-5 minutes during the commercials to get some exercise in. I keep my exercise mat close-by as well as my rebounder. – A Rebounder (mini-trampoline) is a great investment. I keep mine in the living room and bounce-bounce-bounce my way through some of my favorite TV shows. – Better yet, speak aloud your Bible-based confessions for the day while working out, walking, running on the treadmill…you get the idea! Combine faith and fitness in every way you can. Visit our revamped Fitness for His Witness website for a ton more tips. Plus add your own!